just saw on the news 5 train cars derailed, in some of the damaged cars they cant get inside to get the people out or see how bady hurt they are,cars dcame down on the highway,most dangling down geez...what a horrible thing to have happen. airmass will be in place with surface dewpoints in the 60s F.
threat. A potential may also exist for strong wind gusts. well beautiful day temp wise and sunshine wise here by my area today, I hope the same goes for Your area's...........good night folks! very foggy here by my area this morning,drive carefully everyone...........Good Tuesday Morning folks,gee traffic by me here is really Heavy...is it the same where You live?....I guess Holiday gift buying added to the normal upsurge in northern folks coming here for the winter stay is the WHY of it all........well supposedly after this heavy fog burns off its going to be another nice warm dry day ahead..enjoy...have a great day folks! * VISIBILITY...A quarter of a mile or less. JOHN be careful driving...........................There are an unknown number of people suffering serious injuries after a pickup truck and car collided on a foggy US Highway 98, causing the roadway to close on Tuesday morning, according to the Polk County Sheriff's Office. 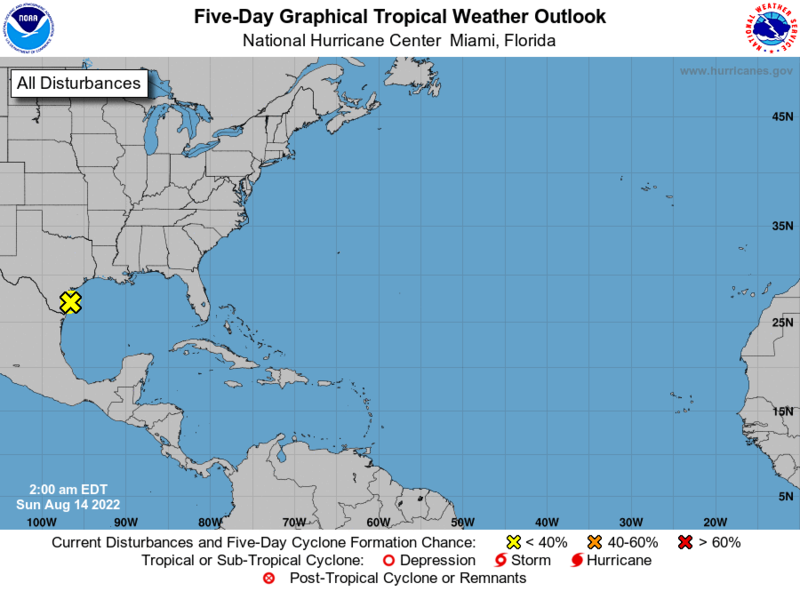 Jenny-WD-Aug...all you folks north of Tampa bay and I-4..you folks all have possible rain chances Wednesday-Thursday with that Front stalling out by the FLA/GA border area...good Luck up there. LargoFL wrote: John hope this is gone by the time you drive home..good luck over there. May he RIP. One of the best Weather Channel hurricane experts when I was growing up. I know you were taking a different angle Largo but I couldn't resist. Good Wednesday Morning folks! !..I guess with all this FOG around..i'll perk the Blogs COFFEE to warm ya all up before enduring your foggy trips to work etc ..drive safely ok.....well other than fog,only weather issue will be our watching the front getting close to or maybe into our northern counties today and tomorrow..no big deal they say but maybe some showers..good luck...well have a great day everyone! Question...how many here take the week off between Christmas and New years?..myself I almost always when I could..i saved a weeks vacation from my job for just that week.....do any of you? LargoFL wrote: Good Wednesday Morning folks! !..I guess with all this FOG around..i'll perk the Blogs COFFEE to warm ya all up before enduring your foggy trips to work etc ..drive safely ok.....well other than fog,only weather issue will be our watching the front getting close to or maybe into our northern counties today and tomorrow..no big deal they say but maybe some showers..good luck...well have a great day everyone! Thanks for the coffee, Largo. The fog was interesting this morning. It came down to around the tree tops, so it was like driving through a tunnel most of the way to work. Yesterday was very heavy. Couldn't see tail-lights just 100 yards ahead -- and some folks were driving w/o their lights on. LargoFL wrote: Question...how many here take the week off between Christmas and New years?..myself I almost always when I could..i saved a weeks vacation from my job for just that week.....do any of you? I'll be in Jax all next week, and only have to check-in once or twice a day, to keep up. I'll be smokin' pig all day Sunday. I typically use my vaca for Thanksgiving, Christmas, Spring Training, and extending long weekends (Memorial, Independence, Labor Days). The holidays are all in Jax now-a-days, with the folks nearing 80. Ok the fog was nuts. Yesterday and this am. You couldn't see 50 yrds. At 5am being dark made it worse and no street lights out my way. We made it threw ok.
Looks like Christmas day could be a little wet??????? I like to take the time off for Christmas when I can. I rotate with my supervisors so they can spend time at that time of year also. Hiya John,,good morning,yeah everyone is saying that same thing here by me too...Bad fog...yeah hoping for some rain here,sure could use it,,i bet its mostly north of I-4 but its early yet...have a great day ok!! has shut down any widespread dense fog development this morning. visibilities expected to stay generally above 1 mile. well almost 9am here and fog's all gone now here by me..looks like a real nice day ahead for us. ok getting overcast here by me,guess that north Florida front is getting closer. ahead of approaching cold front. yes 6Z GFS has fridged temps for 1st week of January panhandle and north florida and 30's even into central florida..but that's several weeks away and things can change..but for folks here who want winter..its coming LOL.....sure is a strange weather pattern for sure this year. well NWS Jacksonville is putting your area AUG on a 30% chance for showers overnight and a 20% chance for tomorrow, we'll see it that verifies..good luck up there ok.
well suns back out here by me, ive things to do this afternoon..guess someone else can let us know how that front is when it gets close to northern florida? Largo did you see the "Judgmental Map of Tampa Bay" on Mike's Weather Page? Thought it was kind of funny. StPeteFLwx wrote: Largo did you see the "Judgmental Map of Tampa Bay" on Mike's Weather Page? Thought it was kind of funny. I think Mike's weather page is wonderful..I check it every day..wish he would join in with us here too, we sure could use him huh,i could be wrong but I think he's up in Oldsmar or somewhere close to that. I've never taken time off this time of year since I spend the time with my aunt who lives in Jax Beach. In a sense I almost get PTO w/o burning the vacay days since we get a few early releases during the significant holidays. We'll need to meet up for an ale or two one of these days JR! possible across interior and western portions of South Florida. locations. Similar conditions are expected late tonight. Good Thursday Morning folks!..well all the Florida NWS's discussions this early morning are warning of Dense fog thru sunrise...drive safely folks!.....no real heavy fog here by me yet..but you can just feel the moisture in the air here on the coast,northern florida keep an eye out on that front up there...I hope its just a few showers..the next front coming might come downstate..we'll see how this plays out....have a great day everyone! StAugustineFL wrote: We'll need to meet up for an ale or two one of these days JR! Agreed, Aug. I'm always up for an ale or two or three... I've heard you have some new breweries that I need to check out. I usually drag my sis out to go with me. The only other family member that drinks beer. In Jax Beach, you should check out Engine 15 on Beach Blvd. They've got a killer brown ale. LargoFL wrote: I think Mike's weather page is wonderful..I check it every day..wish he would join in with us here too, we sure could use him huh,i could be wrong but I think he's up in Oldsmar or somewhere close to that. You're right about Mike being in Oldsmar, Largo. He's right by my commute and local bike trail. good morning JR,yes it would be great if he joined us in here every now and then. well just came back from Clearwater beach,i like to cruise around down there taking in the sights..looks like a lot of out of town visitors there,good for the businesses there too. some Space and Treasure coast locations. early morning hours each day through the weekend. 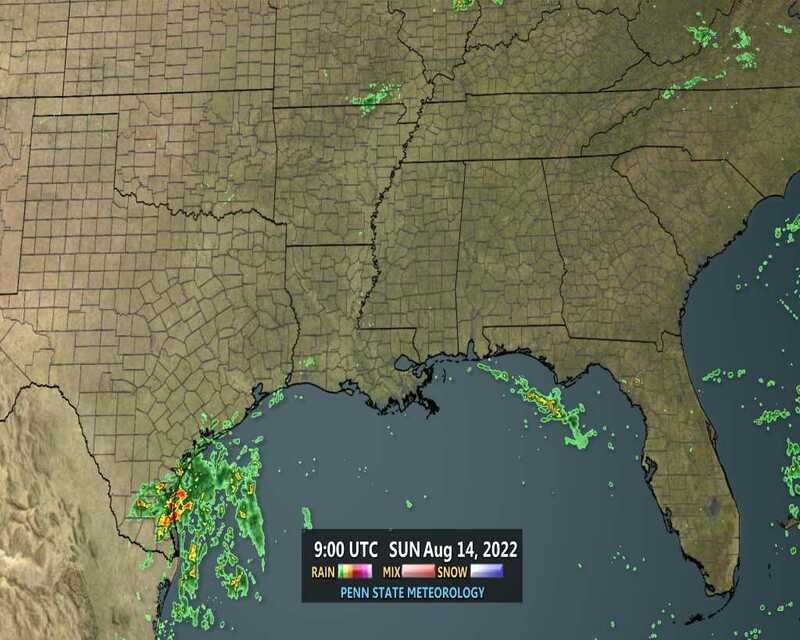 good luck woth any showers Aug............NWS Jacksonville.......................Today: A 30 percent chance of showers. Mostly cloudy, with a high near 76. West wind 5 to 10 mph becoming north in the afternoon. Good luck Aug. I cannot remember the last time we’ve used the heat. We haven’t even checked it. Suppose we should. shortly after sunrise each morning. Good Friday Morning folks!..a lil cool here this early Morning and a lot of Fog warnings around..drive safe ok........good warm up today..maybe 80-81 later today.....oh and..."its the Friday before Christmas and all thru the house...Nothing was stirring..not even a Mouse" LOL..if you haven't finished Xmas shopping, better hurry up huh.............have a great day folks...a lil longer weekend for you working folks..enjoy!! hey st pete...I had to drive down there this morning, fog by me here is so very light, but down by you omg..could hardly see 2 cars in front of me all the way down us19...drive careful my friend. well GFS model says winter temps hits us 1st week of January maybe. Good afternoon everyone. Largo-I sure hope you're right about the cooler weather coming. It was way too warm today. Good afternoon all. Christmas will be full of mixed emotions here. Been an awful lot of bad news in the family recently but also much to be thankful for. StAugustineFL wrote: Good afternoon all. Christmas will be full of mixed emotions here. Been an awful lot of bad news in the family recently but also much to be thankful for. and same to you and yours Aug..have a safe and enjoyable Holiday!! through west central and southwest Florida this morning. through the early morning hours.